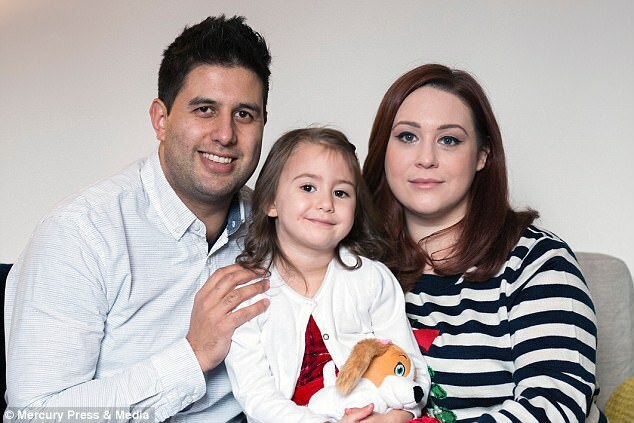 A furious dad claims his four-year-old daughter was 'drunk' and left nursing a hangover after Frankie & Benny's mistakenly served her an alcoholic cocktail rather than a booze-free 'mocktail'. Mark Thomas, 33, said his thirsty daughter Evelyn gulped down a third of her drink when they visited the restaurant chain before pushing it away in disgust. Thinking she was being 'fussy', Mark and fiancee Kathryn Wilson, 29, encouraged her to sip more of what they thought was a mixed fruit juice drink called 'Fruity Sunrise' during their evening meal. But a panicked waitress rushed over and admitted the mistake. Mark claims Evelyn was unable to walk in a straight line, cracked jokes and giggled to herself in the bathroom mirror after drinking a cocktail called 'F&B on the Beach', which contained Eristoff vodka, Archers Peach Schnapps and orange and cranberry juice. Frankie & Benny's has since apologised for a "genuine human error" and the distress caused over the incident at its branch in Burtonwood, Warrington, on December 20. Mark, from Newton-le-Willows, is now urging the chain to change the presentation of kids' 'mocktails' to include either a plastic beaker or a pattern on the kids' glasses to prevent it happening again. The systems analyst said: "She was really thirsty when the drink was brought over so she had gulped about a third, but she recoiled and said she didn't like it. "We thought it was just her being fussy, as most four-year-olds are. One week fish fingers are her favourite, the next week she doesn't like them. "We looked at each other and told her to drink it because she likes fruit juice. She had a few more sips but no more. "Then the waitress came over and was really worried, she looked like she was about to cry. "She told us that she had accidentally given Evelyn a real cocktail. "Me and Kathryn just looked at each other, I don't think I believed it at first. The waitress was really apologetic." Mark said he was stunned but "acted kindly" towards the waitress and told he and Kathryn would keep an eye on Evelyn. He added: "We kept asking her if she was okay and if she needed anything but she said she was fine. "Then she stood up in the booth and just started dancing. Four-year-olds are silly anyway so we weren't sure if it was the alcohol or just her being a four-year-old. "She told us she needed a wee so I took her into the baby change toilets as there was more room in there. "I wanted to see if she could walk but she was swaying, she also walked into a post. "I led her into the toilets but she didn't have a wee - she did start to look in the mirror, laughing at herself and telling funny jokes. "This may have looked normal for any other four-year-old but I knew it wasn't normal for Evelyn." Worried Mark led her back to the table and ordered a portion of garlic bread at around 9pm in a bid to soak up the booze. Mark said: "At this point we were getting quite concerned. She couldn't eat the garlic bread so I got her some ice cream as I know alcohol can lower the blood sugar levels in children but she still couldn't eat it." Mark and communications officer Kathryn decided to take her back home to see if she could sleep it off. However the pair decided to call 111 to check they didn't need to take Evelyn to A&E to be examined. Mark, said: "Kathryn phoned 111, they told us a GP would call us back and then they told us to go to A&E. She must have had at least two shots of alcohol so they needed to get her checked. "She was asleep when we got to the hospital but we had to try and wake her up so they could do all the tests for her. "What really scared me was that she was really hard to wake up - I was trying everything to get her to wake up. "They did tests and she couldn't walk in a straight line. Anything serious was ruled out and we were told she was just tipsy and to keep an eye on her. "They said she would have a hangover. I couldn't believe it, she was four years old and about to have her first hangover. "Kathryn stayed off work with her the next day. She was complaining of a headache so we kept her fluids up. "Just the previous week she was on some strong antibiotics so it worries me that if this had happened then she would have been in a much more serious condition." After contacting Frankie and Benny's, Mark was offered a free meal voucher, which he claimed was "unacceptable". Mark is now calling for tighter training around alcoholic drinks and for 'mocktails' to be served in a cup that is instantly recognised as being for children. Mark said: "We were quite calm about the whole situation at first but when Kathryn was on the phone to 111 I tweeted Frankie and Benny's. "All I got back was 'we're sorry about this' and then after a few messages they gave us a free meal voucher. "You give a free meal voucher to someone who complains about food, not when a four-year-old has ended up drunk. I don't want this to happen again. "We're not going back there - they need more training. 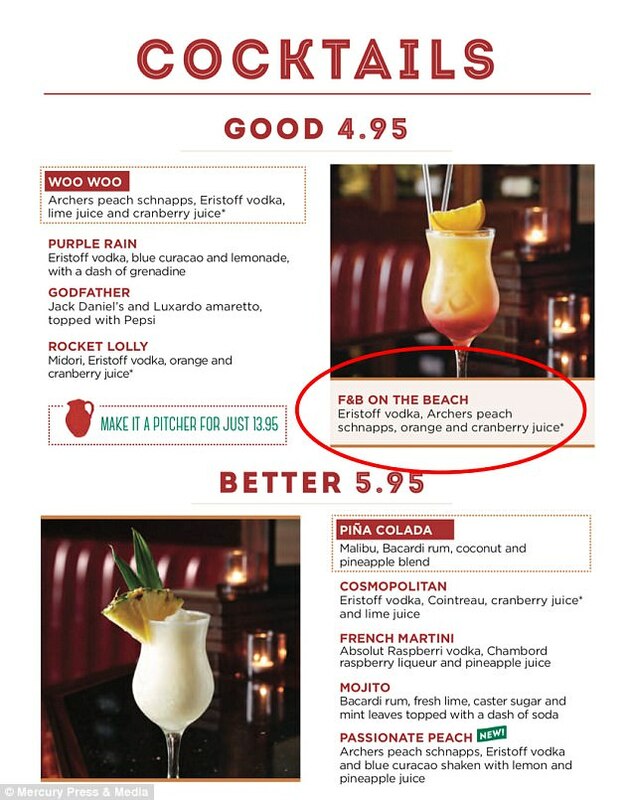 I don't think they should be serving kids 'mocktails' unless there is more to distinguish them from normal alcoholic cocktails. "We are very sympathetic to the waitress here, she was genuinely upset by it. We don't want her disciplined by her employer, we see it as a training issue." A Frankie & Benny's spokesman said: "We sincerely apologise for this unfortunate incident and any distress caused. "Our staff acted quickly as soon as they became aware of the situation. "This was genuine human error and we will do our utmost to ensure this does not happen again."